The decision and process of moving a loved one into a nursing home or assisted living facility can be emotional and difficult. When families ultimately find a place where they believe their loved one will be comfortable, safe and cared for, they put all of their faith and trust into the employees. Sometimes, however, that trust is betrayed. When this happens, seniors suffer the pain, injuries, and indignity that comes from abuse, negligence and indifference. Their families are left with worry, anger, guilt and worse. These facilities should provide our loved ones with comfort, safety and superior medical care. Unfortunately, a recent study conducted by the Kaiser Foundation found that 88% of Ohio’s assisted living facilities were deficient in some way. Many nursing homes are poorly staffed, caregivers often lack adequate training while others fail to ensure they are properly screen candidates to ensure they possess the medical knowledge and personal temperament required to care for our most tender generation. Seniors and their families often spend a great deal of time researching a nursing home or facility and its personnel before making a decision to entrust them with the senior’s care. Nevertheless, that diligence may not reveal many of the problems that can wind up causing grievous harm to the facility’s residents. Depending on the circumstances surrounding your situation, it may be possible to bring a lawsuit against several individuals and entities, including the facility, its employees or its owner. In addition to meeting with a personal injury attorney with experience handling nursing home and elder abuse cases, any abuse or neglect should also be reported to the Ohio Department of Health (ODH), Division of Quality Assurance, Complaint Unit. 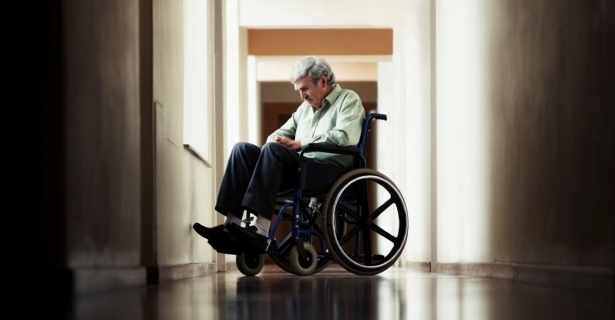 The Goodman Law Firm in Cleveland represents individuals and families who have suffered the pain, trauma and indignity of nursing home abuse and neglect. The Goodman Law Firm zealously pursues accountability and compensation for the victims of nursing home or assisted living misconduct and negligence, and works with families to ensure that their loved ones are treated with the respect, dignity and care that they deserve. Attorney Grant Goodman and his staff focus only on personal injury, wrongful death and malpractice claims. With this focus comes skill that has led to millions of dollars in settlements and verdicts for our clients. Along with results, the Goodman Difference is passion and a personal touch. Let us show you what the Goodman Difference is about. Call 216-028-9990 for a free consultation.